The rest house is a budgeted hotel that is located on the mall road and promises pleasing stay to travelers arriving at Almora and around.teh rest house provides an array of services and facilities and assures comfortable stay to guests. The management has been taken care by Kumaon Mandal Vikas Nigam that truly advocates the beauty and natural landscapes of villages around. 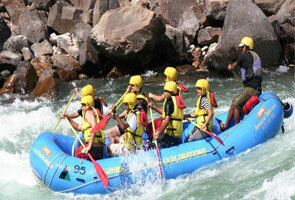 The Kumaon region provides affordable accommodation facilities and is off season travelers can avail a discount of 25%. 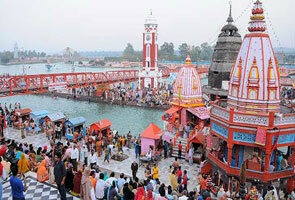 The rest house is located at a mall road in the district of Almora. The bust stand is just a few minutes’ walk away from KMVN at Almora. The rooms of the hotel serve multiple expectations of the guests and offers brilliant stay to travelers here. There are around 13 deluxe cottages, 5 super deluxe family suites, 6 super deluxe and 6 deluxe rooms. The hotel unfolds 4 bed dormitories to budgeted travelers. Moreover, all the rooms are spacious, clean and have attached bathrooms. The rest house at Almora offers various sumptuous cuisines and serves a variety of delicious food that is prepared with home grown spices and vegetables. Travelers can also avail room service facilities. 1. 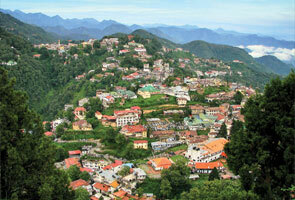 Located at a distance of 339 kms from Delhi, Almora can be best reached via road. Travelers can board bus from Anand Vihar or ISBT Kashmere Gate. 2. Nearest airstrip to Almora is Pantnagar that is located at a road distance of 117kms. 3. 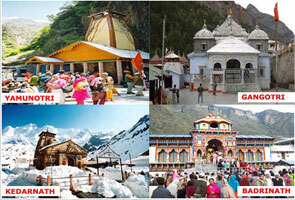 The nearest railway station to Almora is Kathgodam that is located at a distance of 121 kms.